I took a very good decision. I made a flight reservation southeast (for a change) and ended up on this special place south of the equator. The Seychelles. 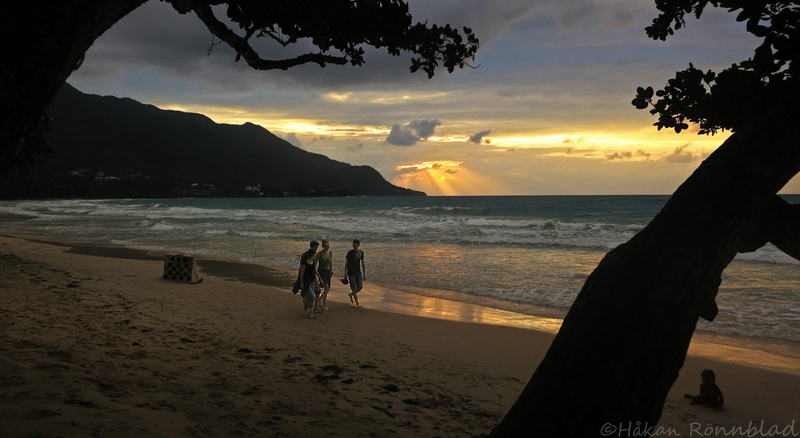 The picture is from Beau Vallon beach at the island of Mahé. This entry was posted in photography, Seychelles and tagged Africa, Beau Vallon, colors, dream beach, Mahe, Nature, seychelles, South of the equator, southeast, The Seychelles, travel, vatten, water. Bookmark the permalink. My congratulations and the best regards to you. Ben & Elena from Russia. Very nice to hear Ben & Elena. Spasiba! And we are among the lucky ones to have visited paradise. Stay tuned, there will be more from the Seychelles the coming days.